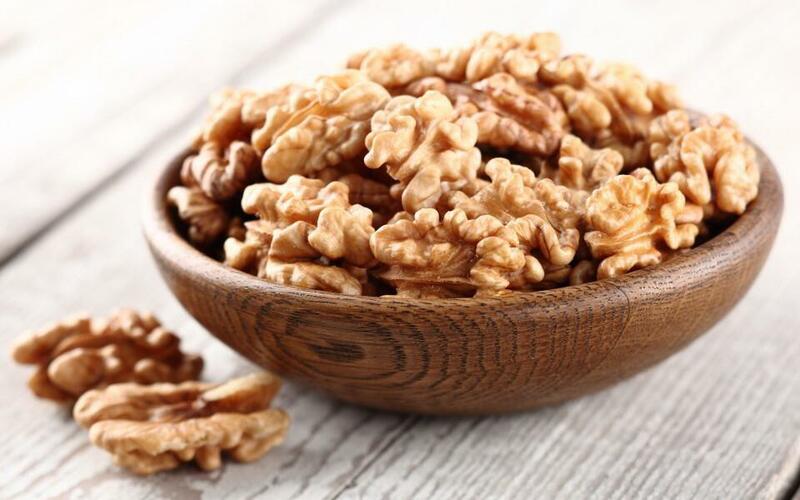 Walnut is a delicious, nourishing and healthy product rich with vitamins A, B1, B2, E and F, oils, proteins and minerals. Walnut is listed among the most favored products in culinary, but it is mostly regarded in Georgian cuisine. Georgians have walnut soups, walnut sauces, walnut salads, cold breakfast variations and desserts. It's impossible to imagine New Year festivities without walnuts, as every household prepares Gozinaki, Satsivi, and Churchkhela to meet this beautiful celebration. Walnut eggplant and walnut vegetables (called "Pkhali" in Georgian - a variation of leek, spinach, chord, cabbage, etc. ), beans, Megrelian Kharcho soup, Bazhe sauce – is a short list of Georgian meals based on walnuts. Even the simplest cucumber and tomato salad in Georgia is dressed with walnut sauce, flavoring the salad with its exquisite taste and aroma. Georgians have found function even to the walnut leaves. They usually stretch the leaves on a clay-pan to bake locally popular corn bread. A whole fish (mostly trout) is also roasted wrapped in walnut leaves. Prepared this way, meals taste better. Walnut oil is another healthy product and it's produced using a method of cold pressing. Bazhe sauce is traditionally decorated with oil drops squeezed out from fresh walnuts. Any salad dressed with walnut oil instantly becomes mouthwatering and as an additional benefit - it's been perfectly digested by a human body. And finally, a special mention goes to the walnut confiture - prepared with raw walnuts. It takes quite a long and heavy process of making, but this amazing dessert is totally worth of sweat!